Happy World Milk Day everyone! 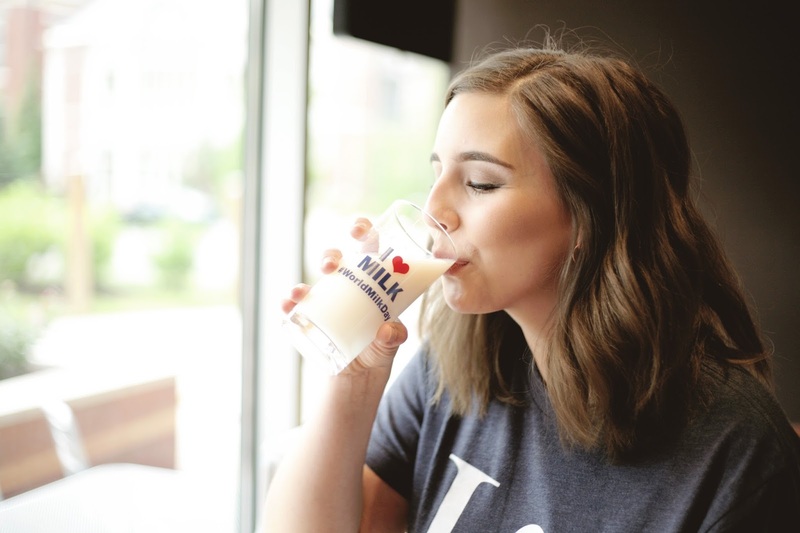 As a lifelong milk-drinker and dairy lover, I was so surprised that I didn't know there was a day (and an entire month) dedicated to milk and dairy! Luckily my friends over at the Midwest Dairy Association in the Kansas City Metro reached out to me and told me all about it. 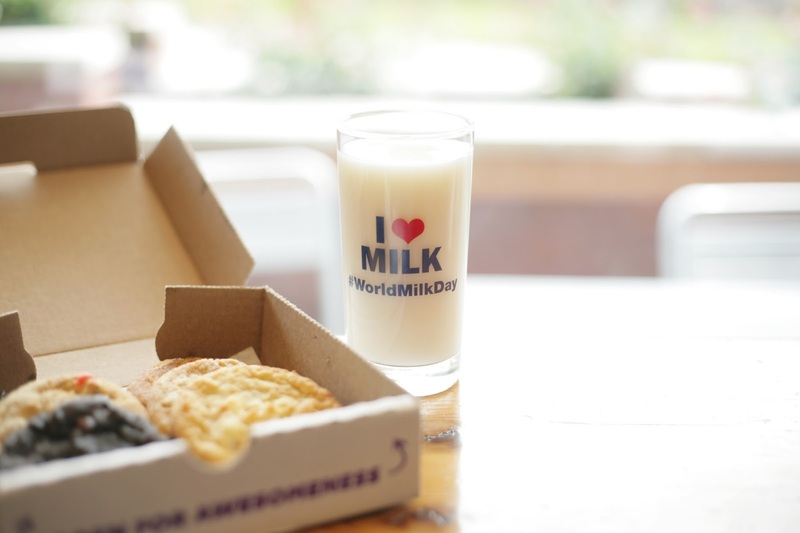 I also decided to make a special trip to one of my favorite places so I could celebrate World Milk Day with it's natural best friend - cookies. The Midwest Dairy Association works on behalf of 7,400 dairy farmers and their families across 10 different Midwestern states to inspire consumer confidence in dairy products and practices. Because they're funded by farmers, they don't promote one specific brand or product but rather represent all diary foods equally! 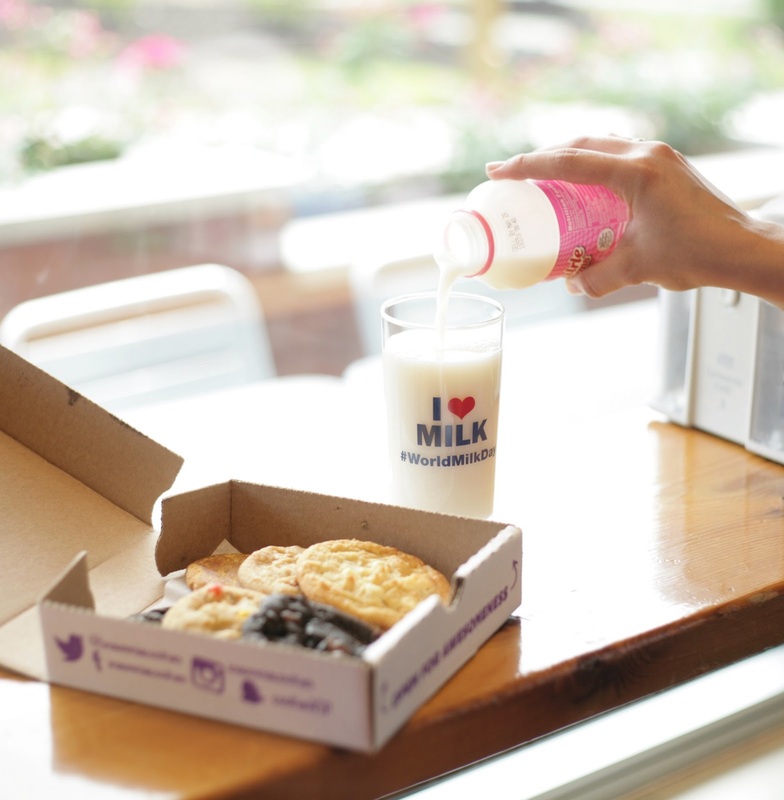 In addition to World Milk Day on June 1, National Dairy Month takes place throughout the month of June and has been celebrated for over 75 years! Honestly for me, I'm just going to use this as an excuse to consume as much ice cream this month as possible, but I digress. National Dairy Month focuses on showcasing the good aspects of dairy from the farm to the foods we love. World Milk Day celebrates the importance of milk in a healthy and balanced diet and the dairy industry's contributions globally to economic development in agriculture. Globally, one billion people derive their livelihood from dairy production! Additionally, the dairy industry promotes environmental protection and sustainability worldwide which is something I'm very passionate about. The Midwest Dairy Association sent over the cutest "I Heart Milk" glass, tee, and an "udderly" punny card that I absolutely loved! With my newfound knowledge of World Milk Day and National Dairy month, I started to brainstorm. What was the best way to celebrate? A recipe for pancakes? Milkshakes? Pie? 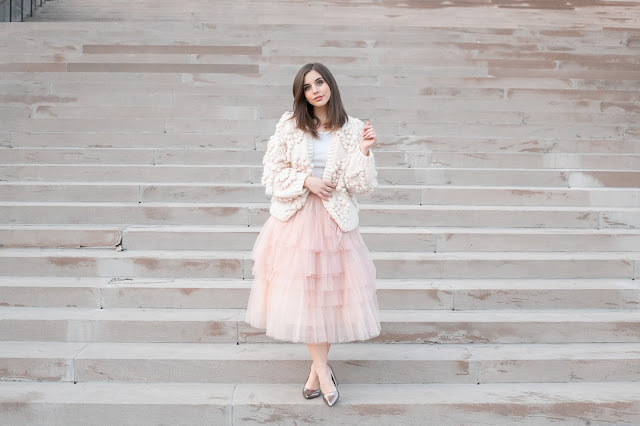 A fun facts post? Then I remembered Insomnia Cookies. 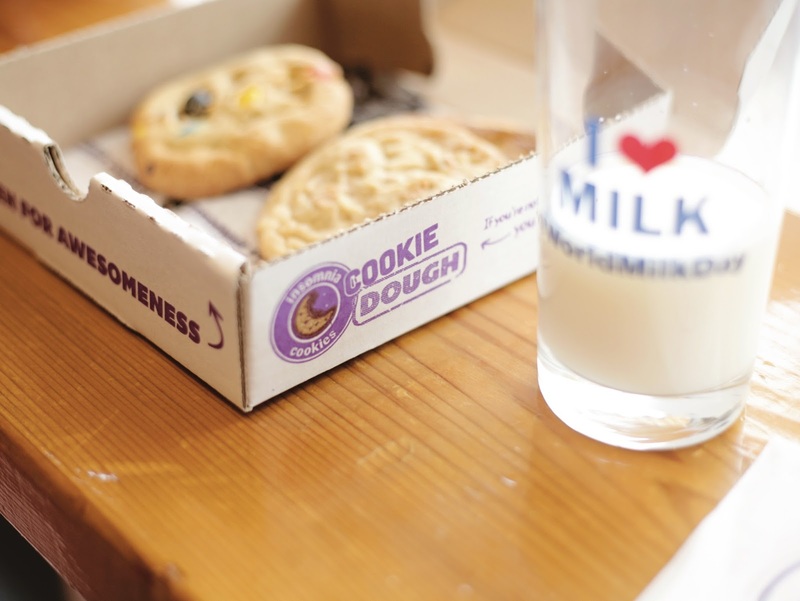 And I knew how I had to celebrate because honestly, there's no better pair out there than milk and cookies. Now I could have shared one of my favorite cookie recipes but sometimes you need a cookie fix at 1:00 a.m. and don't want to get out the mixer, eggs, etc. needed for some delicious, warm cookies. 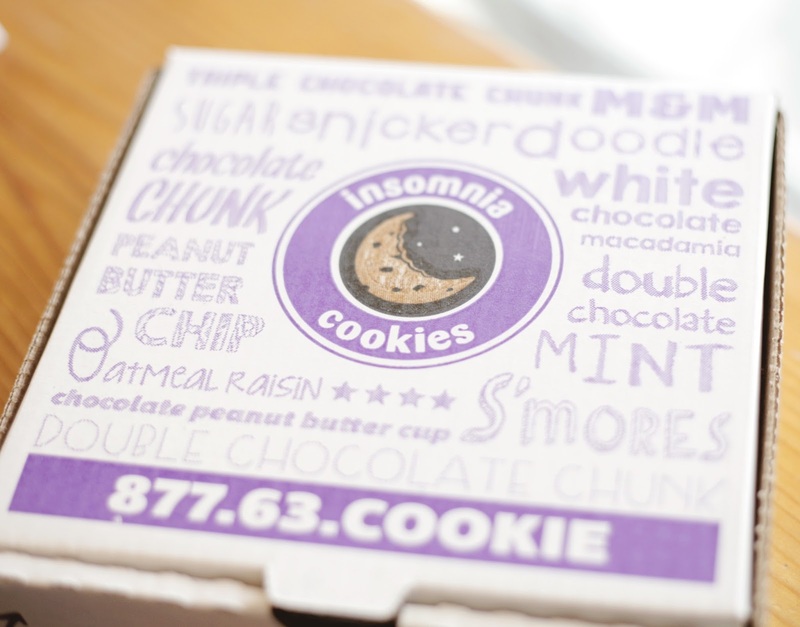 Times like these are when Insomnia Cookies steps in to save the day. Not only are they open super late (as in 3:00 a.m. late) but they ALSO deliver at nearly all hours of the day and night. That's what I call the best business idea ever created. 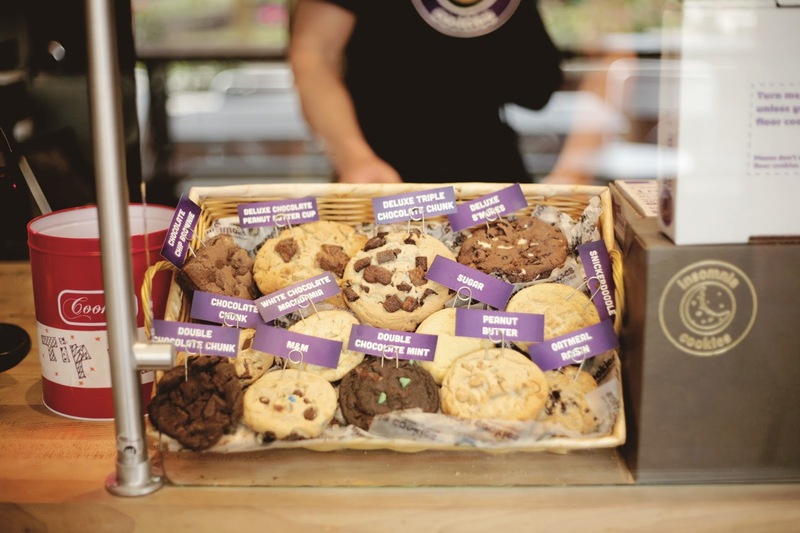 I went to the Insomnia Cookies shop in Columbia, MO because we were out of town on World Milk Day but Insomnia Cookies also has locations in Downtown Kansas City and Westport. Don't worry Kansas Citians, I wouldn't get you all excited about warm, gooey, delicious cookies delivered to the to your doorstep only to drop it on you that it's not anywhere near you. That would be dastardly. I'm not typically in the Columbia area and honestly don't know where anything is, so I called up my girl Brandi to see if she could tear herself away from work to join me for a midday cookie break. 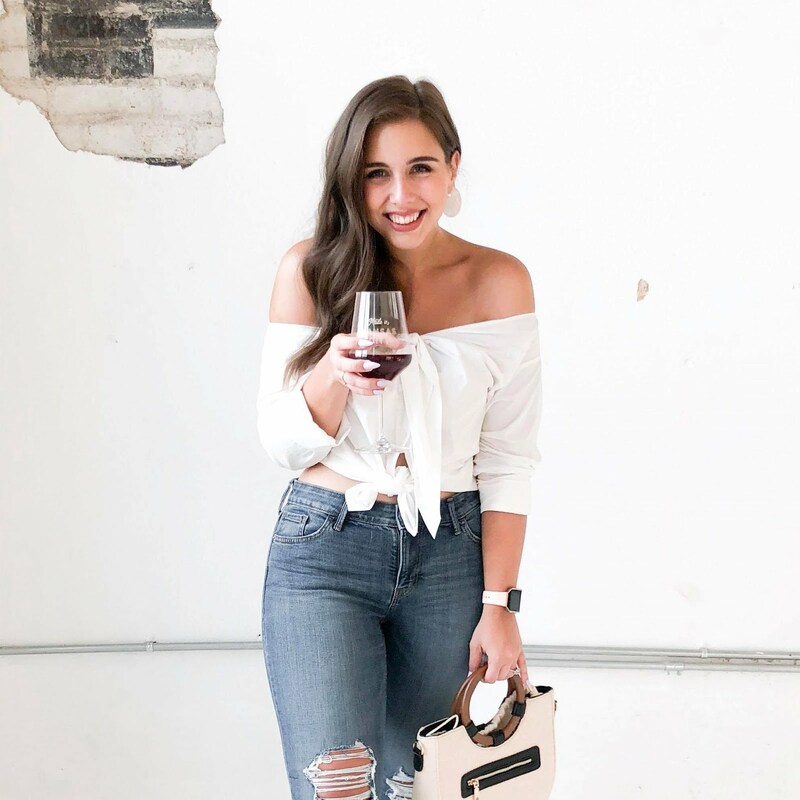 (Sidebar, Brandi has an awesome embroidery Instagram you have to check out. She also donated an absolutely adorable embroidered Kirby for our Kirby's Streamland Moblins for Matt event this weekend) Brandi said yes to the afternoon cookie date because she's a sane, amazing, cookie-loving friend and we met up at Insomnia Cookies promptly. We decided to go with a 6-cookie combo so we could try a little bit of everything. 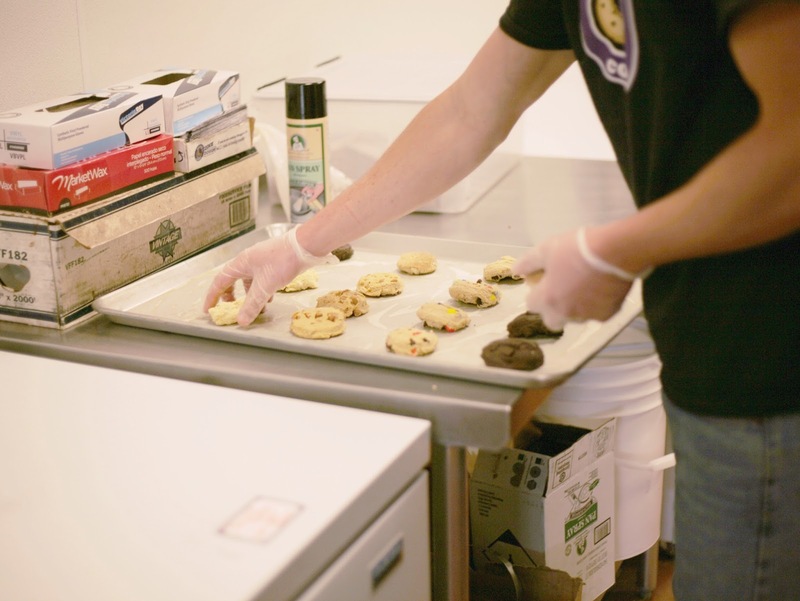 Peanut butter, M&M, white chip macadamia nut, double chocolate chunk, chocolate mint, and snickerdoodle were our selected flavors for our afternoon cookie flight and each was absolutely delicious. 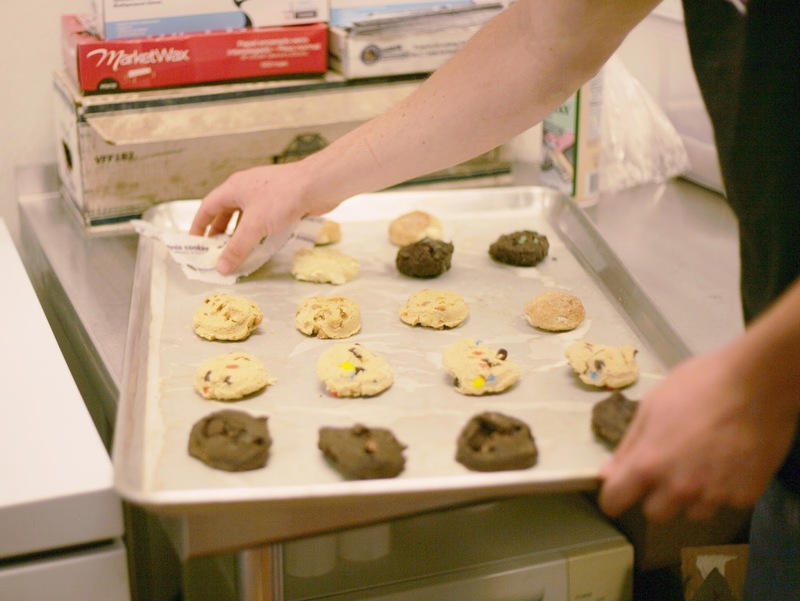 Every cookie was soft, warm, and fresh out of the oven. We were very happy. 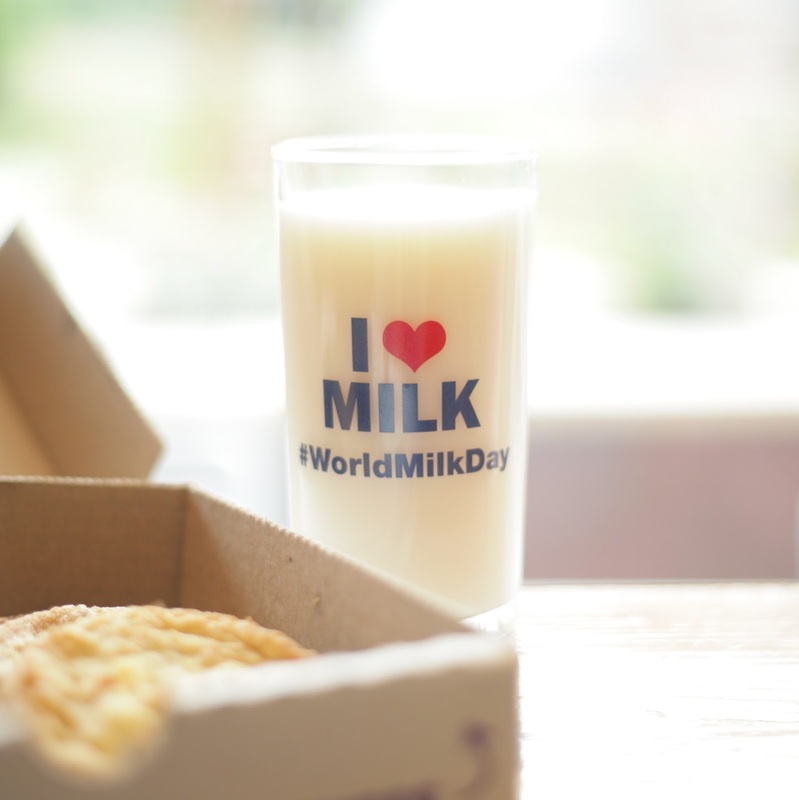 So, go celebrate - grab some milk glasses, cookies, and cheers to World Milk Day and National Dairy Month with a friend! 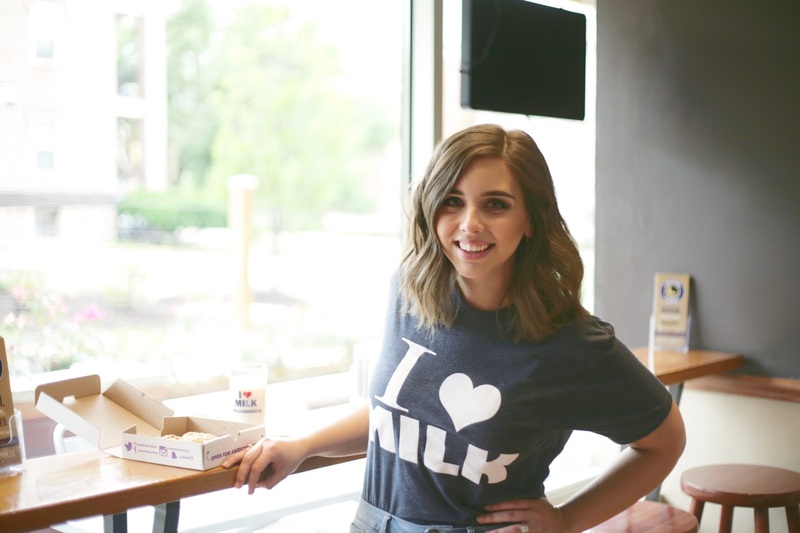 The Midwest Dairy Association is also taking part in a fun new campaign, Undeniably Dairy, that is currently kicking off! The campaign is focused on sharing the joy that dairy brings to our lives! With the hot, hot, Midwest summer upon us, I know lots of us will be joyously consuming dairy treats over the coming months! Definitely go check the campaign out. Well time to go get me a glass of milk. Hopefully I'll be able to make the Kirby stream!